Well, ladies and gentlemen, it's Monday. That probably means you rolled out of bed early this morning, tired and possibly hung over; you staggered around, haphazardly assembling your clothes; you drove to work, stuck in stop-and-go traffic behind an endless series of assholes; and you guzzled coffee in order to keep your eyes open. As for me, I feel your pain: the shower went cold around 10 a.m. today, about halfway through a rousing rendition of Jimmy Eat World's fifth album, Chase This Light, as sung by me, using the shampoo bottle as a microphone. So I think we can agree that our mornings were equally grueling. So anyway, you might be wondering what reader-generated topic I'm going to cover today. Well, if that's the case, then I would say: Time for a little more coffee, jackass, because it's right there in the title! Yes, that's right: I'm going to talk about how everyone thinks you're rich when you own a used luxury car. In order to comprehensively cover this issue, I should tell you that, in college, I drove an Audi. But don't get your hopes up: this wasn't a special Audi, like my friend Paul's RS4, which has fender flares the size of a water buffalo. It wasn't even a kind of special Audi, like that A4 S-Line driven by your co-worker who swears it's "just one step below an S4." This was an old A4, painted purple, which was a factory color presumably devised by some Audi employee who had already lined up a job over at BMW. Beyond its rather unfortunate color, my Audi had a few flaws. For example: because of its advanced age, it didn't have modern gadgets like an iPod interface or a USB port. It had a cassette player. So I got one of those iPod-to-cassette devices, which let me hook up my iPod to a cassette tape that would, on occasion, get stuck inside the stereo. Also: you'd set off the alarm in my A4 if you parked it with the windows rolled down, because the car would think it was being burglarized… by the wind. And the LCD screen in the gauge cluster attempted to display every single vehicular function, and also the time, using roughly eleven pixels. But my old college Audi had four rings on the hood, and that was enough for most people to think I was, in fact, tremendously wealthy. It was so strange: if I was picking up a friend who had never seen the car, he would invariably open the door, sit down, and make some comment like "Ooooh, you have an Audi," speaking with the same tone an African tribesman might use the first time he experienced air conditioning. For a lot of these people, it almost seemed like they thought I was some sort of exotic chauffeur, leading them around in a beautiful, dreamy luxury vehicle. When in reality, I was just some guy driving a used car with an iPod dangling from the cassette player. The craziest part about all this, of course, is that my family really didn't spend that much money for the car. I think it was approximately nine grand, plus a subsequent timing belt service, which meant that the total price was roughly the same as a Nissan Versa without air conditioning. And my friends never would've said anything about a Nissan Versa without air conditioning, except, of course: "Why the f*** is it always so hot in here?" Actually, the price isn't the craziest part about all of this. The craziest part is that people would oooh and aaaah over the Audi even when their own vehicles were far more expensive. This remains true today. Show up in a $12,000 used BMW to meet someone with a brand-new Honda Accord, and they'll fawn all over the BMW, even though the Accord is worth three times as much and has more cameras than Supermax. 1. Stories about personal experiences with rampant valet abuse, damage, or carelessness: 94 percent. 2. Unbridled anger that I would leave a Range Rover with a valet: 5 percent. 3. Death threats from Idaho residents: 1 percent. The implication of the second group was that the damage to my Range Rover was my own fault for placing "such an expensive vehicle" in the hands of other, less-capable people. This sort of hostility surprised me, since my Range Rover cost approximately $25,000, or roughly the same amount as a new Kia. And that was more than a year ago, which means that – thanks to the miracle of Land Rover depreciation – it is now worth approximately the same amount as an electric blanket. Now, I'm well aware that used luxury cars can cost a lot of money to maintain – and I realize that may be part of the reason why people think their drivers are so wealthy. But in my experience, people tend to make a big deal out of used luxury cars regardless of the condition they're in. 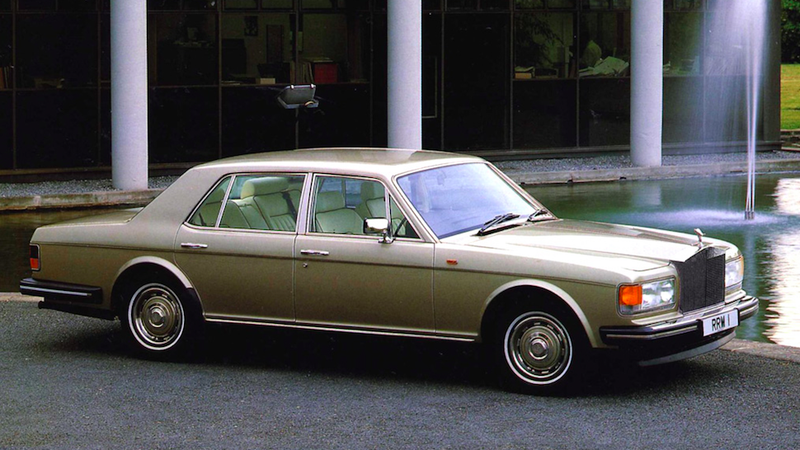 This is why you can spend six grand on a used Rolls-Royce Silver Spirit with four functioning cylinders and sheepskin seat covers, and people will still think you're descended from royalty. The moral to this story is that if you want people to think you're wealthy, all you have to do is spend a few thousand dollars on a used luxury car. And if you happen to end up with my old A4, good news: I have a cassette-to-iPod adapter you can use. But I'm going to charge you $25 for it. After all, you can afford it. You drive an Audi.